Thinking about creating a viral website like Buzzfeed or Viralnova? Its actually quite possible. If you don’t know, Viralnova was created by a single guy, and was sold for $100 million. Inspiring isn’t it? I’ve been experimenting for many months on how to create a viral website and more importantly how to market the site by getting cheap quality traffic, and then monetizing it. In this guide, I’ll share with you everything I’ve learnt and what people don’t tell you. 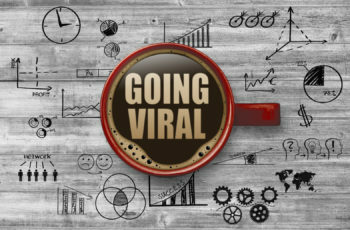 Yes all the secrets behind creating a viral website, and how to get your content viral. Here’s the first part, where I’ll run you through all the steps you need to complete to launch your site. Before we start you should ideally have a good knowledge of WordPress, PPC Advertising, Facebook Advertising, and Adsense. You don’t need to spend a big budget to build your site. In fact, creating a viral marketing website isn’t as expensive as building other types of websites. A budget of $200 should be sufficient to get you all setup. Now let’s go into the details. To get the best performance for your site, we recommend you choose a web host specialized in WordPress. SiteGround offers managed WordPress hosting on all plans and enjoys good reviews across the web. Plans start at $3.90/month for up to 10,000 visitors a month. You get fast 1-click install, auto updates, great support that goes beyond hosting problems, and advanced caching. We recommend you upgrade your plan as your site grows. But what I like about SiteGround the most is the staged backups. With it, you can create a copy of your live site on a staging environment where you can test and preview new code and designs without actually changing your live site. It’s great value for your money. Other WordPress hosting providers that offers a staging environment costs much more. The easiest way to set up a viral website is with WordPress. You don’t need any coding knowledge. WordPress isn’t just a powerful, scalable, well-supported and easy to manage CMS, but it’s well optimized for search engines. It comes with good on-page SEO out of the box, which is precisely what your viral marketing site needs. With WordPress, post name permalinks optimize your URL structure, Title Tags and Headings are easy to add, website speed is great, and mobile support is easy to implement using responsive themes. There are lots of themes and plugins you can choose for WordPress so that you can expand your site’s functionality as you need to. WordPress extensions are also well-supported. Your web hosting provider should have features that allow 1-click installation of WordPress. But in case you need, here’s the manual way in quick steps. Grab the WordPress.org version as it gives you more power and more options than the limiting WordPress.com version. Download and install WordPress following the instructions on the screen. It’s easy. Refer to this official Installation Guide for a quick and smooth install. Once you’ve got your WordPress setup, you should also spend some time to optimize it for speed. After all most people leave your page within 3 seconds if it doesn’t load completely. Next, you want to sign up for a free CloudFlare account. Why bother with CloudFlare? It offers a content delivery network (CDN) that boosts both your site’s security and its performance. Paid plans offer better security, but we recommend you start with the free plan, for which you get decent DDoS protection, global CDN, and a shared SSL certificate. There are hundreds of thousands of WordPress themes out there, but choosing one for your viral marketing site isn’t that hard. You can’t go wrong with Bimber, the best-selling viral theme on Theme Forest. This professional, fully responsive theme is lightweight and very clean. With it, you can get your site running in just a matter of minutes. It comes with enticing social sharing buttons, trending listings, quizzes feature, multiple ad locations (we’ll talk about AdSense later in this post). Best of all, it features a powerful visual composer that lets you edit the homepage and just about everything about your theme. Excellent design, great code, lots of features, and prompt customer support make this theme the perfect choice for a new viral marketing website. You don’t need to load your theme with too many plugins – it will just slow it down. Rather, you want to invest in plugins that can really make a difference. What you need are the best social share buttons you can get. Bimber already comes with one of the best social share plugins around — MashShare. To get the ultimate social share addon and turbocharge shares, upgrade to the pro version. This is optional at the start. The Personal plan for one website brings you the Facebook Likebar, responsive sharing buttons, and the attention-grabbing Floating Sidebar. But what I like most is the “Like After Share” addon. Basically what it does it when a reader shares an article, a prompt to like your Facebook Fan Page follows up quickly, maximizing your chances of converting him or her. If someone shares your content, its very likely he / she will “Like” your Fan Page when promoted. MashShare even offers Google Analytics integration that enables you to track and count every click on your share buttons. $39 isn’t cheap for a sharing addon, but it’s a worthwhile investment. We recommend you considering this after your traffic starts picking up. You want mind-blowing content that people can’t help but share. There are some articles that you think are really interesting, but how do you know if its interesting to everybody else? Here’s where BuzzSumo can help. BuzzSumo is your key destination to finding viral content. Check out Facebook Engagements, Twitter Shares, Total Shares and more. Filter out content by date, type, country and more. You can grab the BuzzSumo extension on Chrome to check engagement for each page your browse. Here’s a few of the many popular Viral Websites that you can run a check on BuzzSumo, to see which article has the highest engagements. But don’t just copy the article word for word. You’ll get banned by AdSense. To be safe, rewrite them in your own style and avoid using Article Spinners that automatically does the rewrite for you. Those tools makes the article unreadable. Remember you want your readers to enjoy the content, so they will share it with their friends. To be doubly sure that your rewriting is ok in the “eyes” of Google, you can run the content through Copyscape. It very nominal cost of $5 for 100 credits. Each credit allows you to run a check on one article. (2,000 words limit) We really recommend getting this, especially if you’re outsourcing your article writing to someone else. AdSense remains the most effective way for you to monetize a viral marketing website. The income from AdSense can be a steady revenue you can increase by bringing in more traffic and improving conversion rates. But AdSense has tightened its admission guidelines. It will not approve an empty site or a viral website. That’s why you shouldn’t apply to AdSense using your viral marketing site. Rather, you want to apply to AdSense using another, non-viral website. Hopefully, you already have such a site. If you don’t, you can set up a personal blog using WordPress or create another website with proper content. Apply for AdSense using that. It may take a while for it to be approved, but once you get the green light, you’ll be able to add other websites to your AdSense account without the need for another approval. As you can see, creating a viral marketing website isn’t that hard. Nor is it that expensive. But it does take some time. While you’re probably aching to get your site up and running and starting to cash in on your content, make sure you don’t skip any of the steps above. You especially want to make sure that you get approved to AdSense. Rather than risking a denied request, follow the tip in the last step of this guide. That’s about it for the setup phase. Next up, you’ll want to read the article on “How To Monetize A Viral Website” explaining the technique on how to drive traffic to your site with as low cost per click as possible. And how you can monetize the content. Ultimately its about effective traffic arbitrage process. In the meantime, Good luck! If you have any questions, feel free to drop them in the comments below. I think I will go with your instruction and will difinately build one like viranova. I so much enjoyed this guide, believe me this exactly what I wanted to do after reading the success story of Scott DeLong. I want to replicate his business model cos is simple to copy and is good for a biginner. Your post came at the right time for me. I’m working on a viral site, right now, and this sure helped me. How to about Viral websites with content curation twist and if so could you tell me exactly how to build viral website like alltop.com. Thank you for the explanations, but what about images,they are the most important thing in an article,do we copy them too?